Fig. 33. 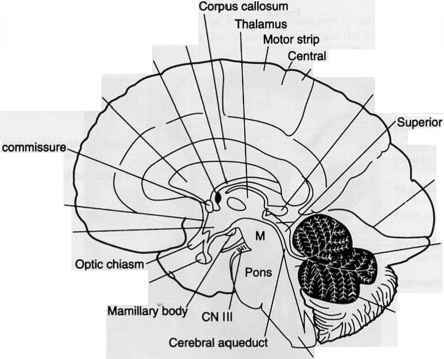 The characteristic connectivity of Wilson & Cowan's coupled population approach reflects local excitation and inhibition with various degrees of laterality the axons not to leave the gray matter and clearly limits the application of these neural fields to local area networks. where w0 = v/a, v is the transmission speed along myelinated axons and a the mean fiber length. Early accounts of wave phenomena in EEG and their discussion in the context of wave equations can be found in (Nunez 1995). 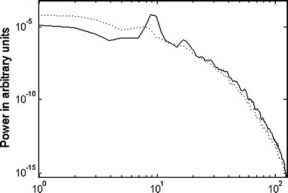 The Jirsa-Haken wave equation (51) approximates various connectivity functions of large scale networks in the limit for long waves, or, in other words, large scale activity patterns. If the slope of the sigmoid function S increases beyond a threshold, then the rest state becomes unstable and undamped wave propagation occurs. Below the threshold damped wave propagation exists. Steven Coombes and colleagues (2003) discuss the effects of connectivity strengths which do not decrease with increasing distance, but rather remain constant within a finite regime. In this case, it is not sufficient to describe the spatiotemporal dynamics by a local partial differential equation as in (51), but non-local delayed terms arise (see Coombes 2005 for a review). Wright and colleagues introduced much physiological detail and were able to address issues of rhythm generation (Wright & Liley 1996), as well as clinical aspects such as hysteresis phenomena in anesthesia (Steyn-Ross et al. 1999). Robinson and colleagues introduced expressions for the corticothalamic loop into the Jirsa-Haken equation (see next section) and included dendritic dynamics while implementing detailed physiologically realistic parameter ranges (Robinson 1997, 2001). Frank and colleagues developed a Fokker-Planck approach to the Jirsa-Haken equation which captures the time evolution of the stochastic properties of the neural fields (Frank et al. 1999, 2000). Applications to encephalograpic data can be found in (Jirsa and Haken 1997; Jirsa et al. 1998, 2002; Fuchs et al. 2000; Liley et al. 2002; Jirsa 2004b; Robinson et al. 2004, 2005; Breakspear et al. 2006). Fig. 35. Robinson et al. (2001) capture corticothalamic effects contributing to neural field dynamics. The effect of excitatory and inhibitory influences is collapsed into the upper row for the dynamics of the neural field. The critical step is that the sigmoid function p (^ (x, t)) does not only depend on the neural fields ^i(x,t), ^2(x,t), but also receives time-delayed thalamic input ^th(t — t/2). where the cortical input to the thalamus also undergoes a delay t/2 via propagation resulting in a effective delay t of the total corticothalamic loop. Computer simulations of equations (52) and (53) provide representative EEG power spectra as shown in Fig. 36. Large scale systems are characterized by an anatomical connectivity with massively parallel and serial, hierarchical structures, as well as time delays due to signal transmission. Such architecture produces an interareal connection topology, which is patchy as observed by Braitenberg & Schiiz (2001) and results in a heterogeneous connectivity. Yet it has been approximated in various attempts by a homogeneous connectivity with a larger extension (see Fig. 37). The approach uses a larger mean path length and hence effectively mixes functionally the intracortical and corticocortical fiber systems. Research of this kind has successfully reproduced various large scale characteristics of activity including the dispersive properties of the cortex (Nunez 1995) or global EEG power spectra (Robinson 2001); it also shows promise in situations of highly symmetric functional connectivity (Jirsa et al. 1997, 1998; Fuchs et al. 2000). However, to this date, it has not been shown rigorously under what conditions the homogeneous approximation holds.